This week’s guest post from Amy Edge is all about delegation as a way to help your business grow. Today I am going to share with you the one BIG secret that will help your business to grow EXPONENTIALLY! It’s why so many business owners can quickly go from burnout to making five figures each and every month. I bet you are wondering what this secret sauce is? Not sure if you are ready to delegate yet? Well, let me encourage you to begin to consider hiring your first team member before you are ready and maybe even before it seems financially feasible. 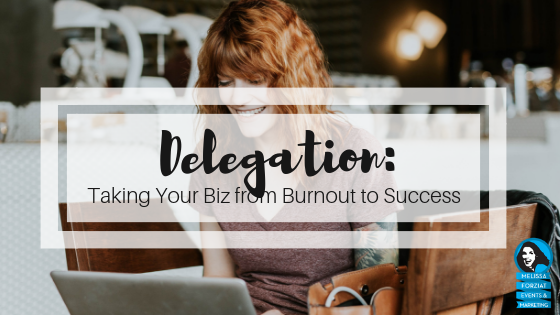 If you are working all hours of the day, glued to your computer or phone with client calls or quickly reaching burnout with no relief in sight, then the time is NOW to start delegating more to your team or hiring your first assistant. Before we go into how to effectively hire your first team member, let’s look at two reasons why now is the perfect time to begin considering delegation. Reason No. 1: You can delegate to an expert. You know a lot that is needed to run your business, but you don’t know it all and neither should you want to! At some point in your business, learning all the things and buying all the courses are going to cause you to hit “analysis paralysis” mode. There are tons of specialized service-based business owners who focus on exactly what you need so you don’t have to worry about learning those things that do not light you up. Reason No. 2: You can delegate so you have more time. I bet you started your business so you could have the luxury of time-freedom. But now you are stuck behind the computer screen 12 hours a day running your business. You are not living a life full of freedom and flexibility. Fortunately, if there are just not enough hours in the day to get everything completed, an online business manager​ can step in and take care of the day-to-day tasks in your business and you can focus on more revenue-producing areas. So you now think that you are ready to delegate to a team member. How do you find and hire your first team member? Step 1: Get clear on your why! Get clear on your overall business mission, goals and your why for bringing in your next team member. Does this person need to have similar aspirations, mission, fit into your target demographic? What sort of personality and traits do they need to have? They don’t need to be your BFF but you do need to make sure you”fit” well together and you both can get along. Step 2: What will you want them to do? Before you can delegate tasks effectively, you need to get clear on what you actually want to delegate to your next team member. Hours you expect to be completed each week or month. Now you understand why you are looking to delegate in your business and exactly who you are looking for and their responsibilities. Let’s move on to finding your ideal candidate and starting the interview process. This can be the most daunting part of the process. If you prepare and create a system for your hiring process however, then it will be smooth sailing. Create a Google form to capture all of the information you need from potential candidates. Not only should you include the typical information (name, email, etc) but you should ask what they enjoy doing, what part of the job description appeals to them and why they think they would be a great fit. Now you need to get great applicants. The two BEST resources you have are from your business associates and social media. Ask your business associates for their referrals or recommendations. Then post in your favorite Facebook groups and ask for referrals. Post the link to the Google form so potential candidates can complete it. Once you have a sufficient number of applicants, review the form and cross out any candidates that do not seem like a great fit. For example, anyone over your possible budget, those that do not have the experience needed, etc. Once you have narrowed down your list to a handful of possible team members, reach out to them and book a discovery call. This is the time to make sure that you will mesh well with each other. Make sure you have your Discovery call using a video platform, like Zoom. It makes the connection feel more authentic and you are able to read body language and mannerisms. Once you have completed your discovery calls, ask your candidates to send a proposal over with their rates and information on how they conduct and manage their business. Accept the proposal that feels the best and their experiences and strengths line up with what you need in your business. Hiring can be a daunting task. You want to make sure that you are a strong contract and are establishing strong communication from the beginning. However, hiring the RIGHT person can really have a positive impact on your business! 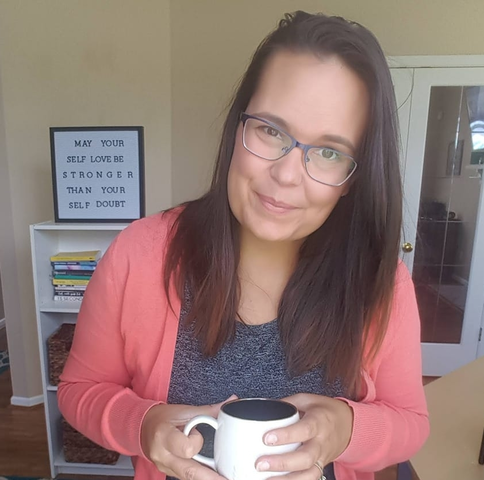 Amy Edge is an online business manager (OBM) who helps bloggers, coaches, and creatives with behind the scenes support and systems to organize their biz + done-for-you Pinterest & content management. You can learn more about how to simplify + automate your business with Amy here or follow her on Instagram.